A large amount of methane gas released during the service of a landfill will not only cause the greenhouse effect, but it may also cause an explosion when the methane reaches a certain concentration in the air or soil. In the background of promoting energy conservation and environmental protection, it is of great significance to effectively reduce the methane release content in landfills, ensure the normal service of landfill and the safety of people’s life and property. 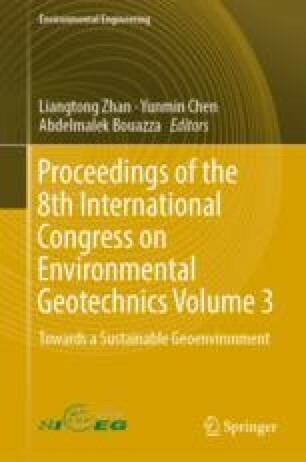 The mechanism of methane oxidation by methane oxidizing bacteria is reviewed and the factors affecting the efficiency of methane oxidizing bacteria to oxidize methane are analyzed in order to reduce the emission reduction of hazardous gases in the landfill and provide a reference for the design of other new landfills. The authors are grateful to the support of Shanghai Key Innovative Team of Cultural Heritage Conservation, and the National Sciences Foundation of China (Grant No. 41572284).